Gold prices are grinding higher, as the dollar remains soft. This comes in the wake of Fed Chair Jay Powell’s Humphrey Hawkins in front of both houses of Congress. He continued to keep to the script discussing the need for patience. He also said that the runoff in the Fed’s balance sheet, which has had a tightening effect, would end in 2019. While prices have been rising slightly, merger and acquisition news hit the tape. This is by far one of the most commonly chosen investing options considered when it comes to efficiently investing in an asset. Stock markets can be risky, but with the right guidance and precautionary steps, one might benefit a fortune in the long run. 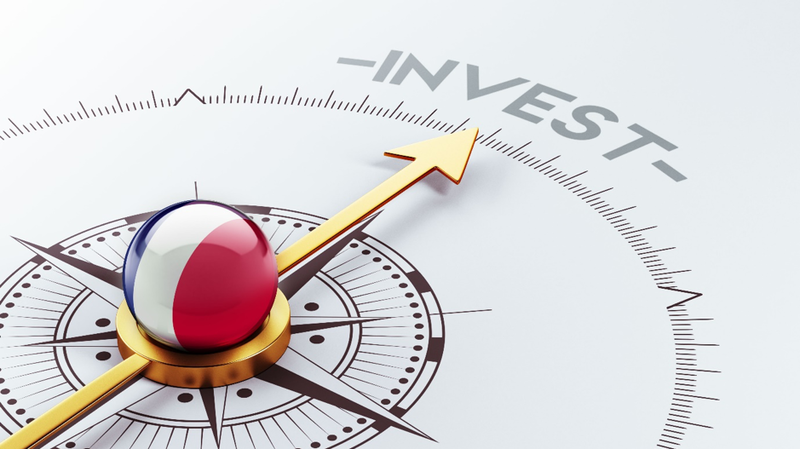 Seeing the past average returns, 2019 might turn out to be the suitable year for long term investors that might turn out to be a guaranteed retirement plan option. This is a tax-friendly option, and you can put up your savings to some productive use. Your liabilities reflect greatly on your wealth. With the decisions of correct investments, comes the requirements of debt pay-offs. No investment can turn out to be as much profitable as it would in case of low debts. It is a smart way of getting guaranteed returns on money regardless of what is going on in the stock market. Another benefit that comes along when you pay off your debts is that you will be able to improve your credit score, which will, in turn, allow you to get loans at best rates on best terms. For buyers, it is a bit of doubt whether investing in real estate is a wise decision or not as it is not a liquid asset. You will be able to earn a profit in the case where the seller is desperate to sell the property as is willing to lower the rate, while you sell it in future at a much higher rate. It is also profitable in terms of rent; you can give it on lease and earn a steady income from it and sell whenever required. This is such a long-term investment that generally results in earning super profits. A lot of people have hopes and dreams of building their own empire by starting their business or company. The ideal option is investing in your own career. When you invest in your own business, you can earn profits in the long run when your business grows. With the right sense of direction and hard work, your company will flourish, and you might end up earning 10 folds of what you have invested. The above points are proven to be the best there is to invest in 2019. The investment options are reliable and suitable for you to engage your hard earned money in. From accounting homework help to market research, everything is available online to help you recognize and choose the better option for investment. Should You Invest in Ethereum (ETH) Cryptocurrency? With thousands of cryptocurrencies in the markets, it’s easy to lose sight of which to invest in. Ethereum, released in 2015, has exhibited positive growth for the most part with a few blips along the way. But should you invest in it? Here’s what you need to know. Sharing a home is a tricky skill to master. Whether it’s your first London house share, or the other students on your corridor of the student accommodation Huddersfield has to offer, or indeed the first time you’ve moved in with a partner, there’s a delicate balance to be struck: maintaining your own space while contributing to the household, carrying your share of the weight with the basic chores of cleaning, while making sure those chores are fairly distributed and not suffering under a build up of resentment. Today we’re here to offer some help with this tricky situation. It’s important to find a way to be honest with the people you live with – this doesn’t have to be fearless, relationship destroying honesty, but if you have no way to safely air issues, then they’re going to remain a source of irritation until they blossom into huge crises. Regular house meetings might be an over-dramatic solution, but a shared WhatsApp group can act as a low stakes arena for sharing issues before they have the chance to boil over. While a level of politeness is, of course, necessary to maintain a good relationship with the people you’re working with, don’t let that mask the issues – clarity is vital! If you’re sharing with family, close friends or a romantic partner, then discussing the washing up via text may be a little impersonal. Having these discussions face to face is a little taxing, but as long as you’re prepared to compromise they should escalate into an argument. The best way to ensure a harmonious home is to sit down soon after you move in and make a plan. Discuss what acceptable levels of cleanliness are for you – if you’re happy with a monthly hoover and you’re living with people who expect the kitchen to be mopped every Sunday then you know you’ve got some compromising to do! This is at it’s most important when you’re moving in with a partner. If you’ve not lived together before, you need to be really open about the amount of work you consider reasonable and required to make a happy, clean home. Always be ready to compromise – you’re not necessarily in the right, and being able to change your mind and commit to a little more and regular house work can smooth the way to a long lasting relationship. For some a cleaning rota is the way forward, for others, making certain rooms or jobs the responsibility of a single person works best. The key thing with this approach is to make sure the labour is spread equally – cleaning the bathroom is a harder (and less pleasant) task than running a hoover over the landing, so try to make sure everyone agrees before you finish the discussion. 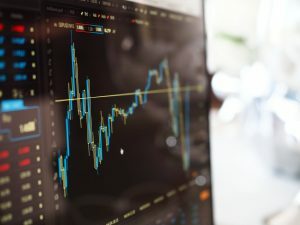 Undoubtedly within the last two-years, cryptocurrency trading has experienced a huge surge in popularity which has catapulted it to the forefront of many trading minds. Crypto trading came into the most prominent spotlight at the end of 2017 when prices for the entire market skyrocketed. This led many new investors to the sector in the hope of huge payoffs. This has also led to the introduction of crypto CFD trading with top brokers such as TradeFW, and has become a viable and lucrative alternative to trading other products. As more join the crypto trading market, we examine the entire crypto industry in more detail and the potential which it holds to revolutionize market trading. What is Cryptocurrency and how is it Traded? To understand crypto currencies, we should understand the blockchain which backs these currencies. This is essentially a digital distributed ledger which records transactions between parties in a way which is completely verifiable and unalterable. The blockchain is also completely transparent in that transaction records can be viewed by anyone. This has its roots in the early 1990s, but the blockchain term was developed by Satoshi Nakamotoin 2008 in tandem with the launch of Bitcoin. Crypto could traditionally be traded through cryptocurrency trading sites. This required a number of things including a specific cryptocurrency broker, digital storage wallet, and other safety measures to secure your holdings. Use of this type of cryptocurrency exchange platform is still very common, and it is a key component of how many traders learn how to trade cryptocurrency. Regulated brokers such as TradeFW though, have introduced new and more innovative methods of how to trade with cryptocurrency through CFDs trading. 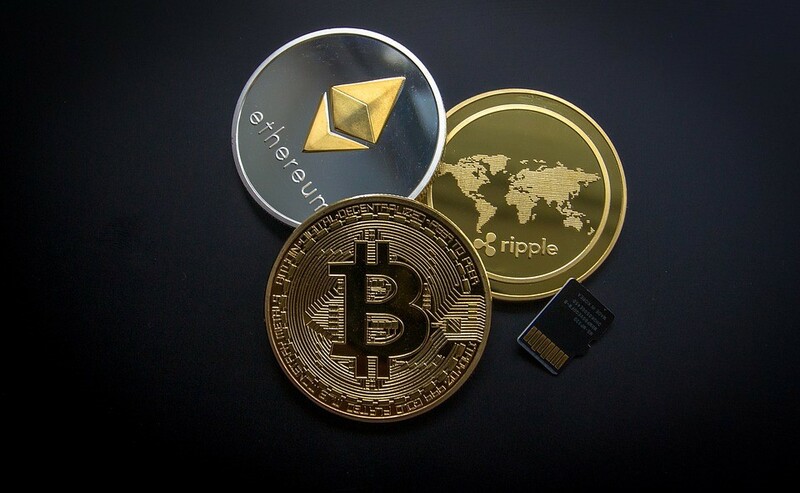 With these CFDs, major cryptocurrencies such as Bitcoin, Ethereum, and Ripple, are paired with US Dollar and other currencies. This form of trading, through MT4 and others functioning as a cryptocurrency trading platform is arguably much safer and more efficient for traders. As they never directly own the crypto asset, they do not have to worry about variables such as account security, and often volatile digital currency prices can be of lucrative potential when paired with other fiat currencies and accessible leverage of up to 1:2. This leveraged crypto trading is something which regular crypto trading software and brokers usually do not facilitate. As with all trading markets, crypto is heavily influenced by supply and demand. This is often created through crypto mining for both established currencies like Bitcoin, and new crypto currencies. The amount of the currency which is available to be mined is usually pre-determined by its creators, much like a central bank may decide how much currency to circulate. This currency is then mined by users who are rewarded for their work through receiving some of the cryptocurrency units. This mining has several forms, but usually involves the verification of transactions on the network. From that initial point, the main influences on crypto can be very similar to that within any trading market. Supply, and demand, geopolitical factors, and economic conditions can all have a strong bearing. 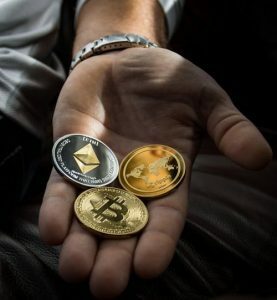 Similar to precious metals trading like gold and silver, cryptocurrency markets tend to bolster in times of difficulty within the traditional finance sector or political arenas. Demand and market is also increasing as major cryptocurrencies become more integrated into daily life, and people learn how and where to trade cryptocurrencies. CFD trading as facilitated through TradeFW removes many of the risks associated with direct ownership of cryptocurrency. These include storage and trading fees. Leveraged tradingof up to 1:2 is available through TradeFW. This is something which would typically not be available through a traditional crypto exchange. Trading cryptocurrency paired with the US Dollar as CFDs trading provides, decreases the risk of volatility which can be experienced through direct crypto ownership. It also allows traders to profit even if markets are in a downtrend. Being licensed and regulated by CySEC, one of the most respected regulatory bodies in global finance means that TradeFW is well placed to ensure a sense of trust among traders. Something which certain crypto broker may lack. TradeFW provide extensive educational support in terms of trading strategyand getting to know the markets. This is something which can be of great assistance to new traders in any markets, yet is rarely offered by cryptocurrency trading broker. Cryptocurrency trading is an exciting and potentially lucrative trading pathway for many in the sector, both new and experienced. It is also abundantly clear that choosing the best cryptocurrency broker is of vital importance to the success of traders in that market, and this is an area where TradeFW possesses all the correct attributes. Should You Invest in MLB Crypto Baseball ‘Cards’? 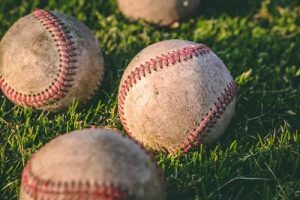 MLB Crypto Baseball is the first sports league with non-fungible tokens for public-use on blockchain. Non-fungible tokens are unique tokens which are not interchangeable. They are representations of goods or assets. MLB Crypto is a cross-over between baseball card collecting and fantasy sports. While many of us are busy preparing our taxes and worrying about our annual budgets, which you can create free of charge, Bryce Harper is most certainly thinking about his next big purchase. 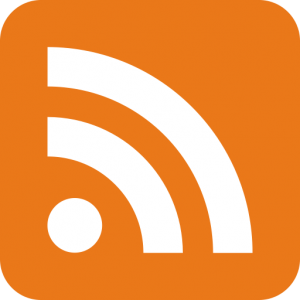 Initial Coin Investments (ICOs) are risky. Most ICOs fail because of fraud and insufficient resource capabilities to meet business goals. This is just one of the reasons it’s important to be aware of any new Securities and Exchange Commission (SEC) guidelines. Another NBA All-Star weekend is now in the books. While Team Lebron faced off against Team Giannis on Sunday night, many tune in to watch the three point and slam dunk competition that takes place on Saturday night.